Press the play button to hear the test as many times as you like. 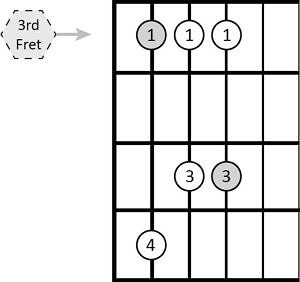 Attempt to play what you’ve heard on the guitar using the scale shown here. Use the link below each example to check your work. If you like, try writing down what you’ve heard.